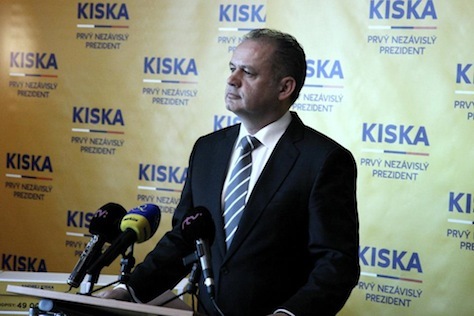 Robert Fico’s attempt to extend his control over both the Slovakian parliament and presidency failed Saturday, when former businessman and philanthropist Andrej Kiska (pictured above) overwhelmingly defeated Fico in the second-round runoff. Though Fico narrowly led in the first round, Kiska won a decisive victory with 59.38% of the vote. 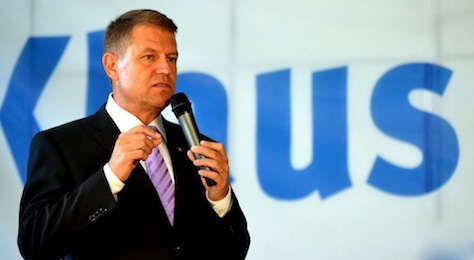 Fico, the incumbent prime minister, won just 40.61%. Kiska, an electrical engineer by training, made his fortune in the installment payments / credit business. Eight years ago, he founded Dobrý anjel (Good Angel), a charitable organization that helps provide funds for the seriously ill.
Kiska’s victory parallels the rise of Andrej Babiš, also a former businessman, who became the deputy prime minister and finance minister of the Czech Republic after his new center-right party nearly won last October’s Czech parliamentary elections. Babiš, interestingly enough, is Slovak by birth. 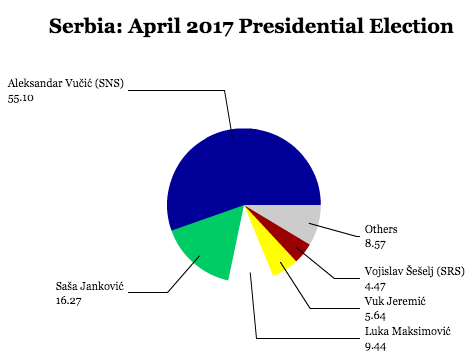 Though Kiska will have a relatively circumscribed role in Slovak politics, due to the largely ceremonial nature of the Slovak presidency, the emergence of figures like Kiska and Babiš could augur the rise of a new, pragmatic center-right in central Europe whose leaders come from the business world and not from the fraught economics and tainted politics (on both the right and the left of the immediate post-Cold War period). Slovak prime minister Robert Fico led in the first round of the country’s presidential election on Saturday, but he’ll face stiff competition in the March 29 runoff from political neophyte Andrej Kiska. Fico won 28.0% of the vote and Kiska took 24.0% — both contenders were expected to finish in the top two spots and advance to the final round. 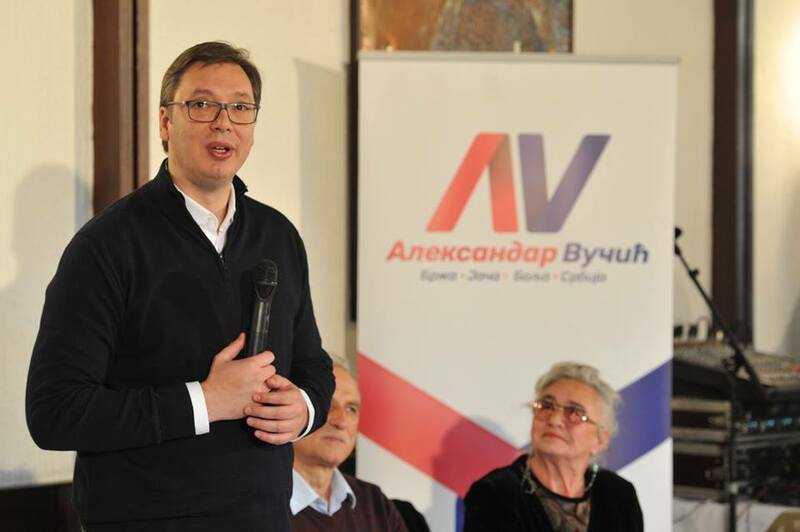 The big surprise in Saturday’s election, however, was the strength of third-place finisher Radoslav Procházka, a Christian democratic independent who won 21.2% of the vote. Milan Kňažko, an actor, also a Christian democrat, and a top Slovak leader of the 1989 Velvet Revolution, won 12.9% of the vote. 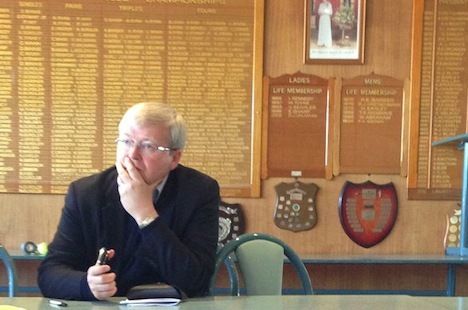 The results mean that Fico (pictured above) will face a very tough time winning an absolute majority against Kiska in two weeks’ time. The outcome of the election itself isn’t as significant as the surrounding context. 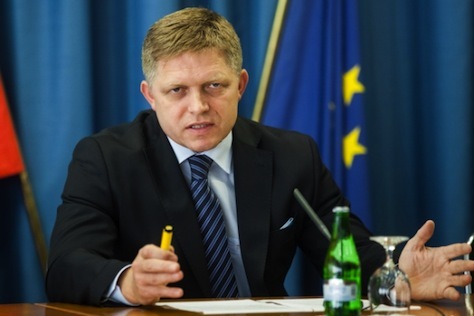 Slovakia’s presidency is essentially ceremonial, though the president formally nominates the prime minister and some members of Slovakia’s constitutional court and other judicial offices. 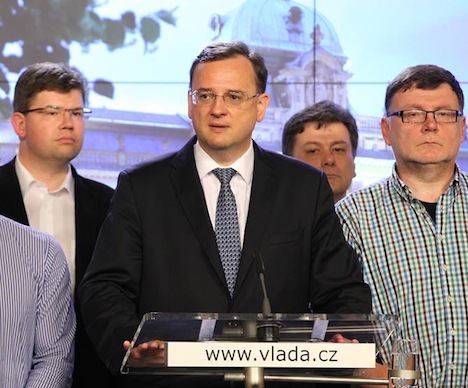 Though the president can veto routine bills passed by the unicameral Národná rada (National Council), a simple majority of the National Council can override the presidential veto. That means that the Slovak presidency is much more like the ceremonial German presidency instead of the truly powerful French presidency — and even, from a constitutional perspective, weaker than the Czech presidency. Accordingly, the election is important for two reasons. 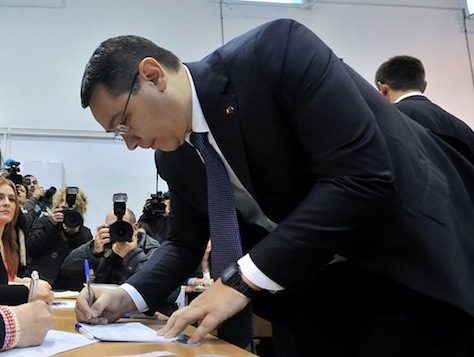 First, the election has now become a referendum on Fico and his governing center-left party, Smer – sociálna demokracia (Direction — Social Democracy). 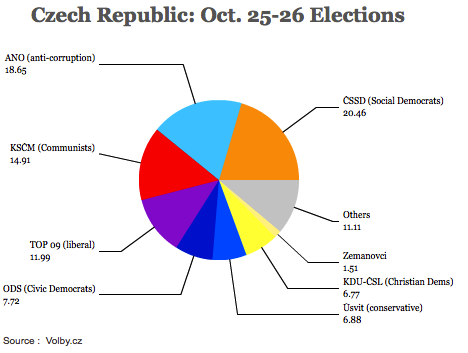 Unlike most countries with a parliamentary-based prime minister as head of government, the Czech Republic’s president holds more than ceremonial powers — and that makes this weekend’s Czech presidential election, the first direct election by voters of the Czech president in the post-Soviet era, a bit more important than a ceremonial formality. 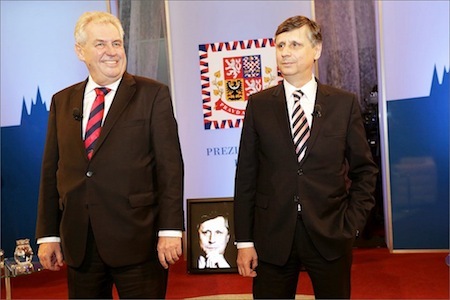 Two candidates, Jan Fischer (pictured above, right) and Miloš Zeman (pictured above, left) are largely seen leading the nine-candidate field. Following the first round, to be held Friday and Saturday, the top two candidate will compete in a runoff to be held on January 25 and 26. 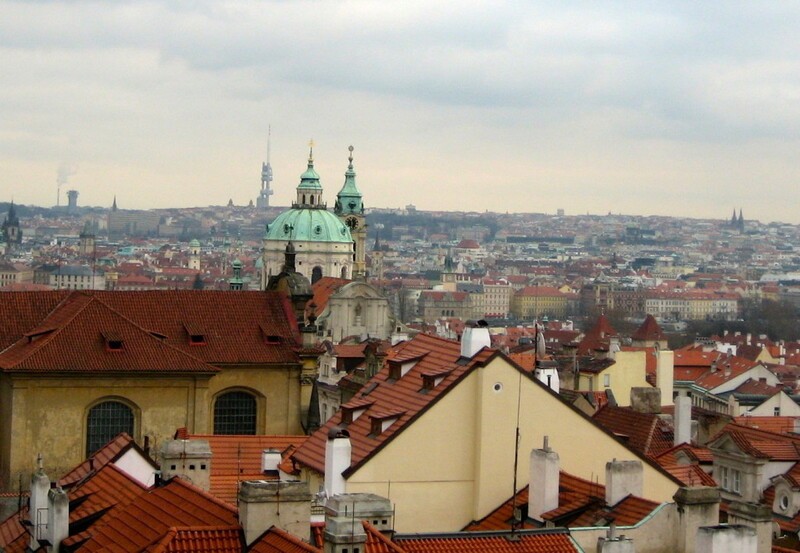 The Czech president has the power to veto bills passed by the Czech parliament as well as the power to appoint judges to the supreme court and the constitutional court, as well as members of the Czech national bank and members of the office that implements the national budget. 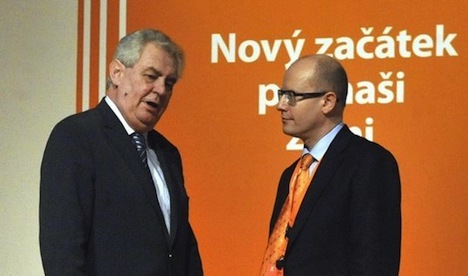 In many instances, the Czech president and the Czech prime minister act as co-executives, especially with regard to matters of foreign relations. Václav Havel, president until 2003, a former playwright and author and public intellectual whose dissident efforts began with the Prague Spring in 1968 and who was jailed several times in the 1970s and 1980s by the Soviet-controlled communist Czech government. His moral authority and his widespread international respect gave him an incredibly broad platform as president. Václav Klaus, who succeeded Havel and who will leave office this year (amid a bit of scandal over presidential clemency), is an outspoken conservative who founded the Czech Republic’s main center-right party, the Občanská demokratická strana (ODS, Civic Democratic Party), and who served as prime minister from 1992 to 1997. As president, he’s taken strong stands in favor of limiting European Union power as one of the loudest critics of the EU’s 2007 Lisbon treaty (though he ultimately signed the treaty, allowing it to go into effect in 2009). 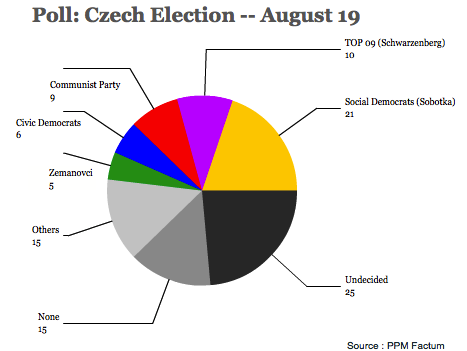 So as voters head to the polls in the first presidential election of its kind in the Czech Republic (Havel and Klaus were selected indirectly by the Czech parliament), it’s worth noting that the next Czech president will likely play an important role in Czech and European affairs alike. Fischer, who until recently led many polls throughout the muted campaign, would be the Czech Republic’s first Jewish president (and, indeed, the world’s first Jewish head of state outside of Israel). 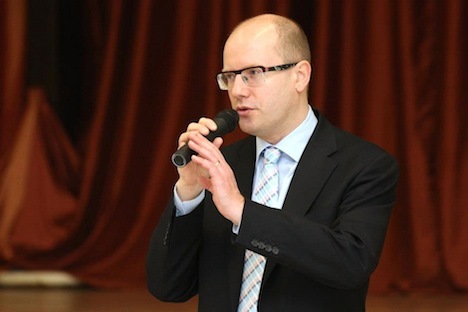 A soft-spoken statistician, he headed the Czech Statistical Office from 2003 to 2009, when he was selected as a technocratic, caretaker prime minister after prime minister Mirek Topolánek’s center-right government fell in March 2009 through the 2010 elections. 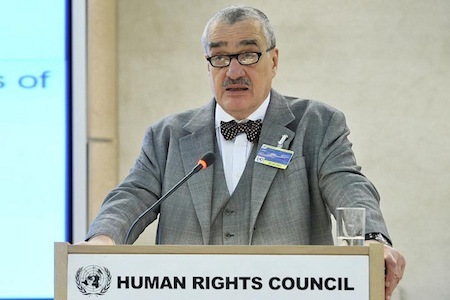 He is widely admired for his performance as prime minister, which included measures to protect the Roma, a minority group persecuted by Czech right-wing extremists. 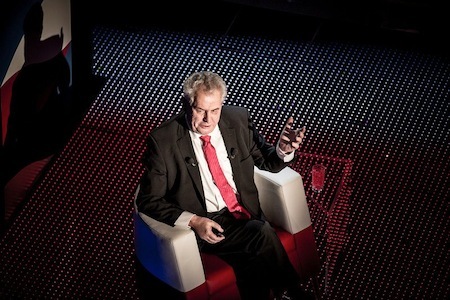 In the presidential race, he has been criticized mostly for his membership in the Czech Communist Party during the Soviet era, and Fischer has apologized for that, despite claiming that he became a member only in order to keep his job in government. 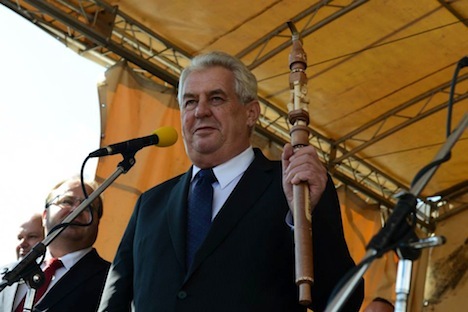 Zeman, who until 2009 belonged to — and once led — the Czech Republic’s main center-left party, the Česká strana sociálně demokratická (ČSSD, Czech Social Democratic Party), is as sharp-elbowed and brash as Fischer is mild-mannered, and he has narrowly begun to eclipse Fischer in the polls after being widely seen to have won a debate earlier this month. 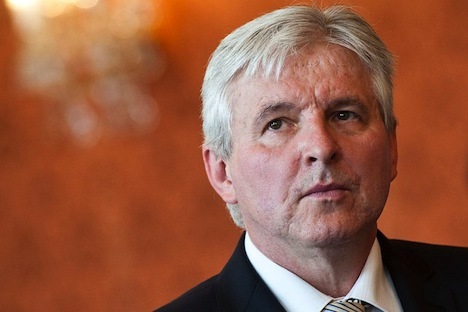 He lost the 2003 presidential election to Klaus after serving as prime minister from 1998 to 2002, and he left the ČSSD four years ago to form his own party, the Strana Práv Občanů – Zemanovci (SPOZ, Party of Civil Rights — Zemanovci). 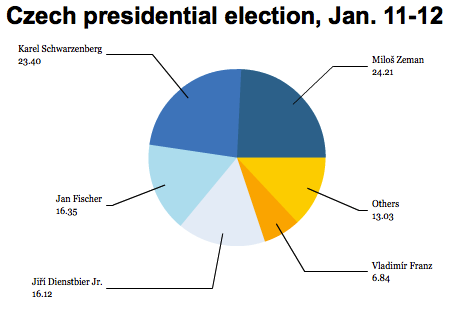 Ironically, Fischer and Zeman outpace the actual candidates of both the ODS and the ČSSD.